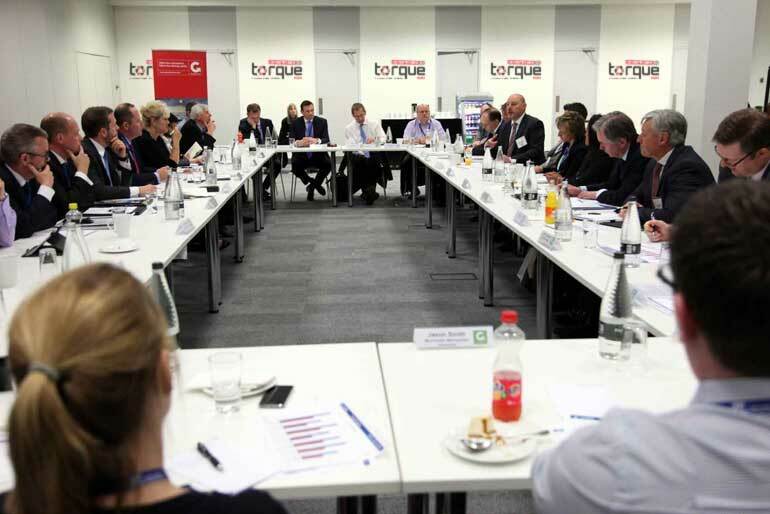 Torque-Expo offers a variety of sponsorship opportunities, in order for exhibitors to benefit from a high profile presence at this exciting industry event. Sponsorship provides an opportunity to communicate specific messages to the visitors, build up your brand image and increase awareness of your company, products and services. The Showguide will be handed out to all visitors at the main entrance and used as a guide for the exhibition. 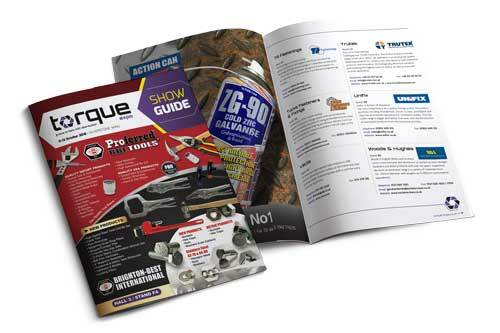 It also provides longevity following the show as key decision makers can refer back to it for product information and contact details. Display advertising ensures you stand out from your competitors can building brand awareness and driving traffic to your stand. Prominent cover positions are currently available and will be allocated on a first come first served basis. Sponsor the Visitor Registration and your company logo is seen by everyone who pre-registers, registers on the day, and is included on every visitor badge. 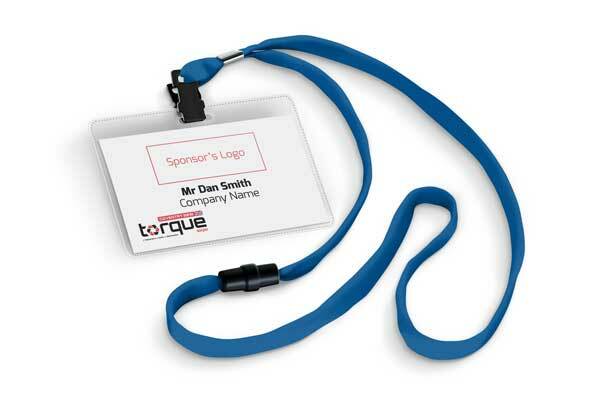 This ensures that your company name is the first and last thing visitors see at Torque-Expo. A fantastic branding opportunity available for a maximum of three companies. 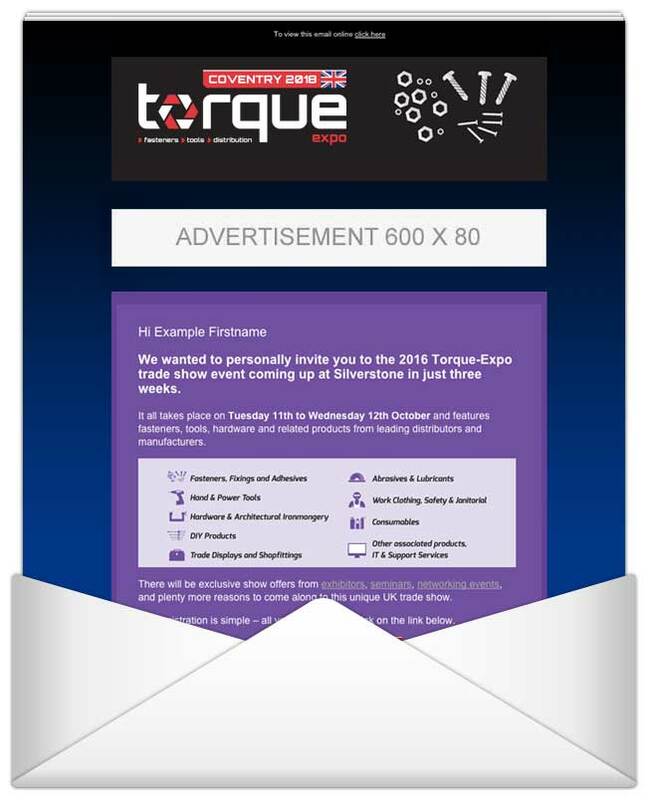 Targeted email broadcasts allow you to communicate specific messages to new potential customers in the build up to Torque-Expo, whether this is for any new products or services, or a general corporate campaign. Promoting your presence in advance of the event will also drive visitor traffic to your stand. The majority of visitors will use the website to register, plan their visit, look for news, products, see the latest feature areas and arrange appointments with exhibitors. Visitors will also regularly refer back to the website to look for new information. Banner advertising online will enhance your visitor exposure. 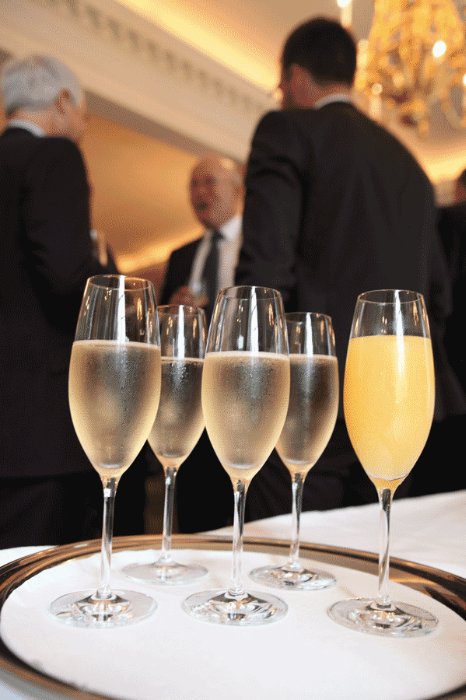 This exciting networking event allows exhibitors and visitors to further develop business relationships and meet with relevant industry professionals within an informal environment. Corporate branding opportunities and key sponsorship opportunities will be available, news on this exciting event coming soon. One of the top onsite branding opportunities. 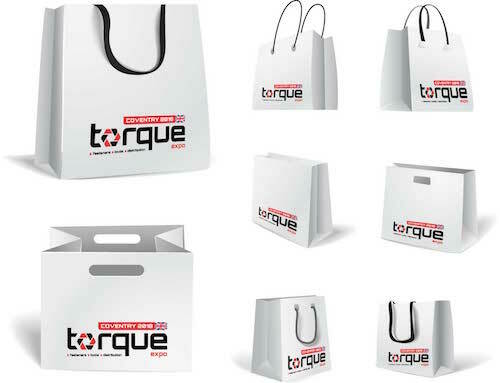 The bags are available to every visitor at the show entrances on arrival. The event bags are useful for collecting literature, free to take away at the end of the day, and provide a long term way to build brand exposure after the show. A great opportunity to place some promotional material in front of all the visitors. There are a limited number of inserts allowed. Throughout the course of the show, there will be dedicated seminars on relevant topics affecting the industry. Exclusive opportunities are available to sponsor each seminar. 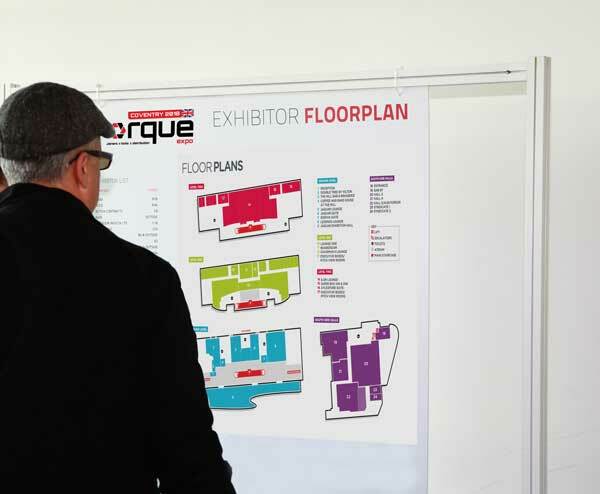 A brilliant opportunity for exhibitors to have their logo, stand number and strap line featured on the directional boards positioned around the venue. The sponsor(s) will also have their stand and listing highlighted.